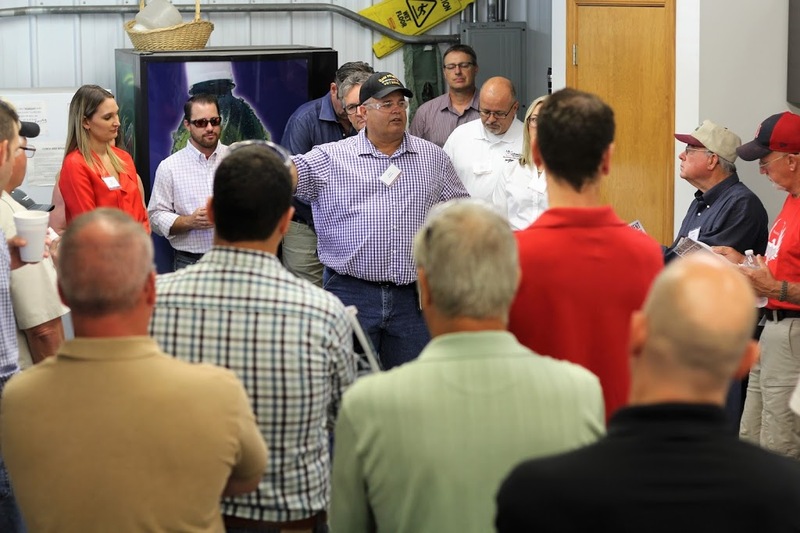 State Representative Dan Swanson hosted more than two dozen bipartisan representatives from federal officeholders, state office holders, industry experts, and staff in learning more about Firearm and Firearm Component Manufacturers in Illinois on Tuesday. Included in the day-long educational event for legislators and their staffs was a tour of Springfield Armory in Geneseo, a tour of Rock River Arms in Colona, a presentation by firearm component manufacturer L.W. Schneider of Princeton, and a shooting event at Milan Rifle Club to allow federal and state officeholders to better understand the firearms industry and especially their impact on jobs in Illinois. There are 194 Firearm Manufacturers operating in Illinois, representing nearly 14,000 jobs paying an average on $59,000/year in wages and benefits. In total, firearm manufacturers and suppliers represent $639 million in wages and a $2.18 billion impact on Illinois’ economy. Over $129 million/ year is paid to the State of Illinois from the Firearms Industry in addition to $200 million in federal business and excise taxes. In addition to the taxes paid to governments by the Firearms Industry, millions more dollars are invested in our communities by these companies- from little league teams, to support of Boy Scout and Girl Scout troops, to support of causes like Komen for the Cure and St. Jude Children’s Research Hospital.